Two ways to actually help the folks on the Eastern Seaboard (spoiler: Not canned goods). Last night I found myself really worrying about the next few days in the lives of people who were in the path of Hurricane/Superstorm Sandy. I have a sense that this is the point at which supplies have run low or just plain out, people who are poor or elderly or stuck on the wrong piece of geography have been stuck and without resources for a day too long, the money has been spent and there’s no gas in the car, or no train to your job — if only where you work was up and running, but it’s not. There’s not a whole lot that people who don’t actually live within walking distance of folks in need of help can do in these circumstances, and the next few days will be what they will be — the federal government will do all it can, the Red Cross will do all it can, neighbors will do all they can, and yet it’s not necessarily going to be very pretty. 1. Go ahead and make that donation to the Red Cross. If you can only help a little, that’s fine, because a nonprofit can always do more with your $10 than you can (I always think of the fact that for $5, your local food pantry can buy a whole grocery bag’s worth of food, whereas you and I can buy four bags of spaghetti and a can of tuna). You can go to the website, or just text REDCROSS to 90999 to donate $10. And if you can’t swing even $10 right now (and I’ve been there) remember that they will absolutely still need help in a month or two or six. 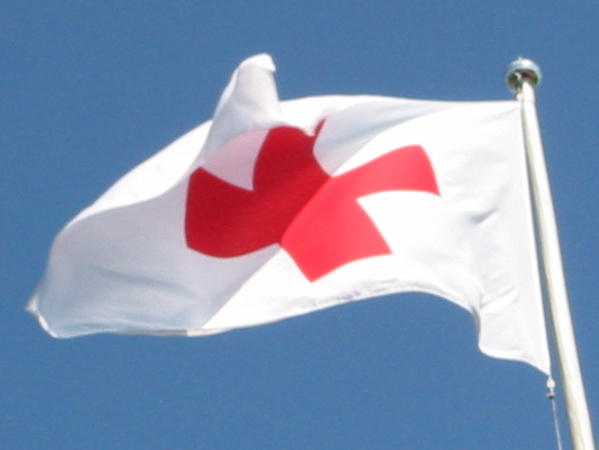 And not incidentally: By donating to the general “Disaster Relief” fund, you’re providing money that the Red Cross can use wherever it’s needed — and the Red Cross also works in Haiti…. 2. The less obvious thing: Everyone on the Eastern seaboard will, in fact need help in a month or two or six, and they need not only a President who will have their backs and focus on things like recovery and rebuilding infrastructure (not to mention bring an honest approach to the future of climate change), they also need a Congress that will support the President. I think that I’m not alone in feeling like, barring new surprises, President Obama is pretty likely to win re-election. But, even if that’s so (and it’s far from a foregone conclusion, so don’t get complacent), the Republican Party has shown in word and four years of deed that it is not even a little bit interested in working with this President, for any reason whatsoever. It took President Obama a little longer to figure this out than I might have liked, but he’s figured it out, and we need to figure it out too — and the actionable part of “figuring it out” is working over the next few days to get more Democrats into Congress. If you can find a few hours to help your local Democrat canvass and/or get out the vote, if you can talk to friends and family and remind them of the importance of casting their ballot even if they don’t think they need to, please do so. If I can, I’ll be going up to Wisconsin on Tuesday to work on getting out the vote for Senate candidate Tammy Baldwin. (And if you don’t know how to go about helping, just Google the candidates’ headquarters and show up — they will be thrilled to see you and tell you when/where you would be of most use). So, unless you’re within easy travel distance of a neighborhood that needs supplies and helping hands (and if you are, please do what you can! ), here’s what you can do: Give money to the people who know how to use it, and get out the vote for the people most likely to do good recovery work. And if you’re among those knocked around by this storm? All my prayers and best wishes for quick repair and healing, from out here in Fly Over Country. Big love, East Coasters. Hang tight.